Many years ago when my husband and I were dating we would go to a pizza place called Happy Joes. 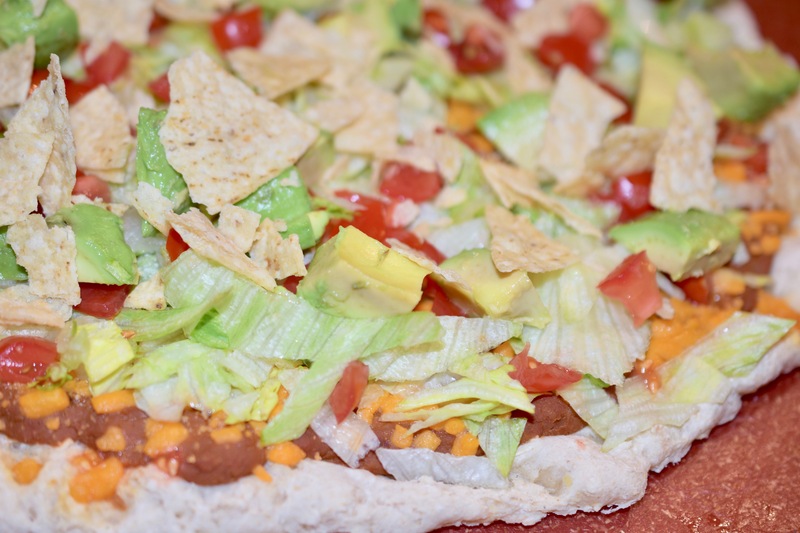 We almost always ordered the Taco Pizza. That was my favorite pizza that they served. 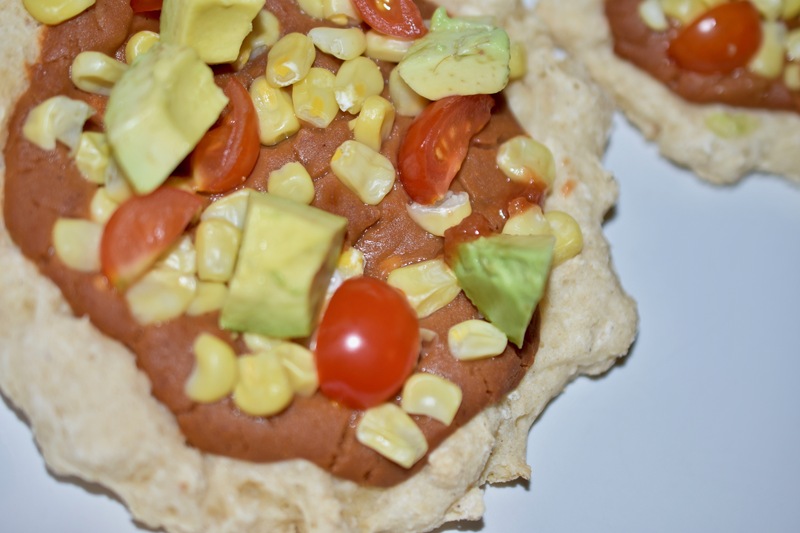 This is my take on that pizza, except it is gluten free and vegan. I do not think there are any Happy Joes left, but now I can have a taco pizza in about 30-35 minutes. that time includes making the crust and bake time. That is quicker than ordering and waiting for delivery. Preheat oven to 375 degrees. Line baking sheet with a silicone mat or parchment paper. I used a silicone mat. It is a little more forgiving when you shape the pizza crust. Make dough. Form dough into a circle, and build up a ridge around the outer edge. Bake dough for 18 minutes. Remove from oven. Layering 1: Shortcut Refried Beans and cheese shreds. Bake for an additional 7 minutes. Remove from oven. Layering 2: Iceberg shreds, tomatoes, tortilla chips and salsa. These are a nice change to the Traditional Tostadas with the hard tostada shells.The shells are soft and pillowy. They remind me of puffy tacos that we used to get many years ago. Those puffy shells were fried and not gluten-free. 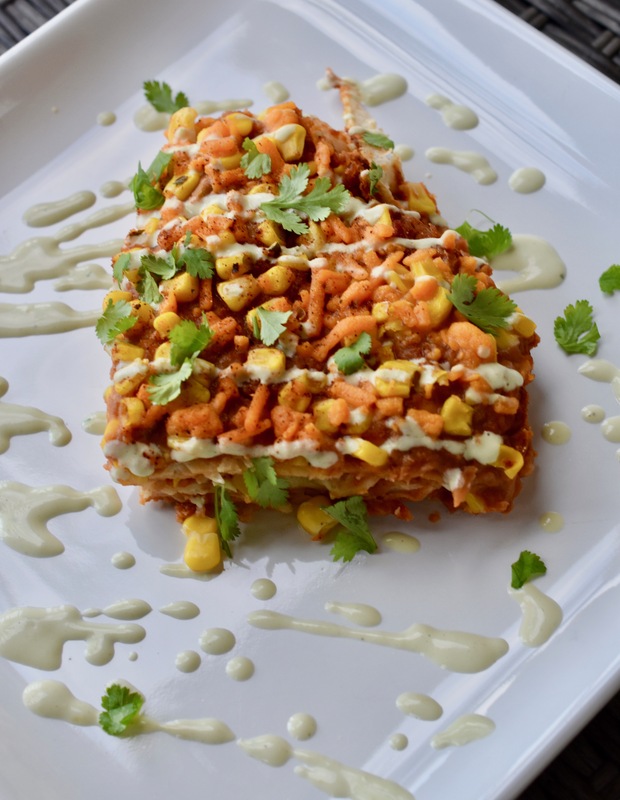 These healthy and flavorful all in one bite. You use whatever topping you have on hand. This was what was in my kitchen. 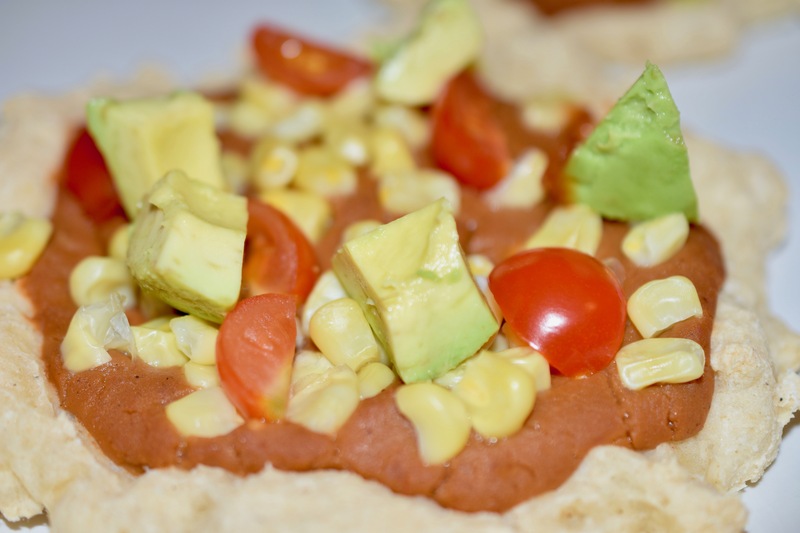 Assemble tostadas : Shells, beans, corn, tomatoes and avocado. Squeeze a little lime juice on your tostada.